In 2015, China initiated its “Sponge City” program, the core of which is a 4.8 billion dollar investment in 16 cities that were selected for intensive stormwater treatment retrofits with the goal of solving severe flooding and water quality issues. To the extent possible, China is hoping to address these issues using low impact development techniques. It is therefore fitting that China hosted the International Low Impact Development Conference in Beijing from June 26 – 29; this is the first time the conference has been held outside the United States since its inauguration in 2004. Long an active supporter of this conference, Herrera was proud to sponsor this year’s event and encouraged active participation by its staff. For example, Herrera staff gave 2 presentations during conference technical sessions and hosted a full day workshop on “lessons learned” from the United Sates for helping China achieve its ambitious Sponge City goals. Herrera is already applying these lessons in selected cities throughout China to support its Sponge City program. 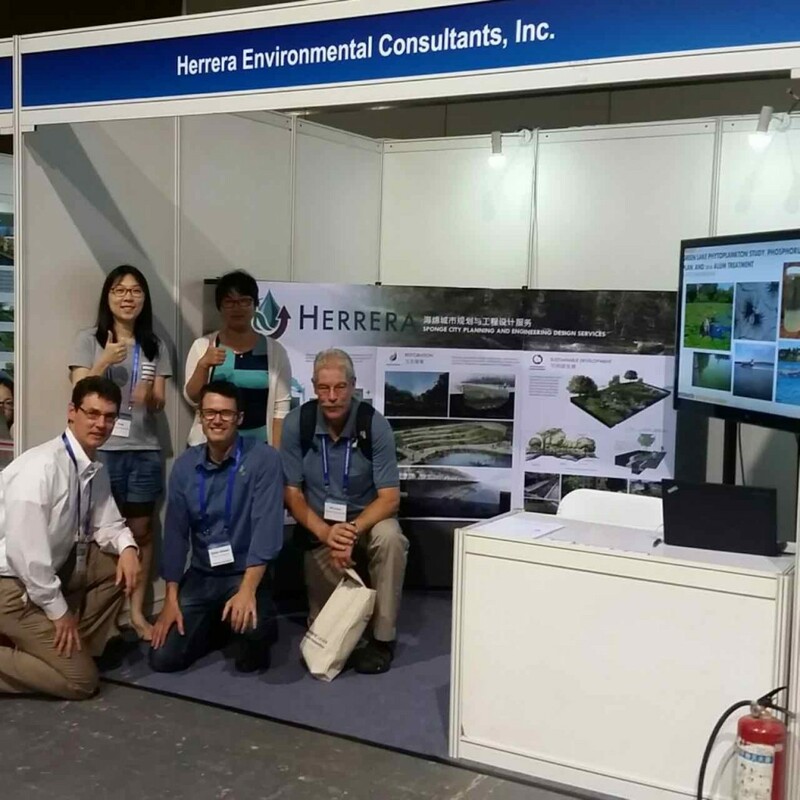 For example, Herrera just completed an ambitious modeling effort to identify stormwater treatment retrofit requirements over a 22 km2 area in the City of Zhenjiang (Jiangsu Province) to meet aggressive flood control and pollutant reduction goals. Based on the outcome of this modeling effort, Herrera also designed a regional stormwater treatment facility to reduce pollutant loading to the lake bordering the City from combined sewer overflows. With the Sponge City initiative there are great challenges and opportunities in the field of stormwater management in China. Herrera is excited and honored to be at the forefront of this effort. City of Seattle’s 700 Million Gallon goalGood News for Puget Sound Health!